We’re asking people to #EvolveKISS the one you love or even SMOOCH your POOCH and KISS the competition goodbye! 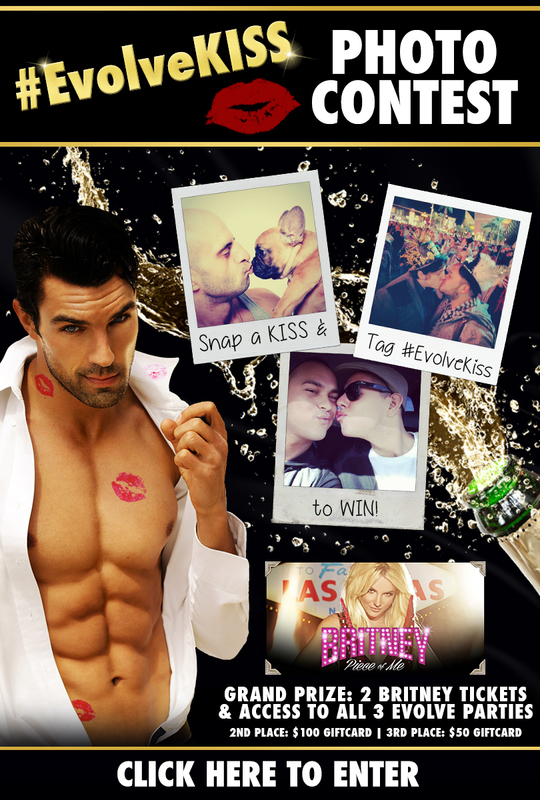 Get creative and practice for the special KISS at midnight at Evolve Vegas, the first International Gay New Year’s Eve Celebration in Las Vegas! Grand Prize Winner will receive 2 tickets to the New Year’s Eve performance to Britney Spears and tickets to all 3 Evolve Vegas parties taking place December 30th– January 2nd. Second & third place photos receive American Express Giftcards!